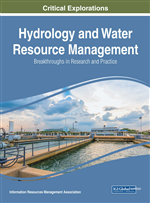 In this chapter wastewater treatment and water resource management are discussed and analyzed. The goal of this chapter is to deepen the knowledge of application of adequate, precise process eco-technologies in the wastewater treatment from scientific and applicative aspect. This represents an ongoing problem in the modern process eco-engineering. The appropriate wastewater management issue is regulated by domestic and EU regulative as well as through recommendations of several relevant water and wastewater management associations worldwide. This chapter elaborates the application of SuperPro Designer software for modeling of a wastewater treatment plant, considering the technological, technical, environmental and financial aspects. Regarding the management of a wastewater treatment system, the application of an appropriate control system is essential from an engineer's point of view. The SCADA (Supervisory Control and Data Acquisition) control systems were found to be most adequate and effective control systems practically applied to real life wastewater treatment systems. In latter day, modern society, wastewater treatment and water resource management are being discussed and analyzed. Knowing the origin and composition of wastewaters is an essential precondition to determine the processes and operations included in the wastewater treatment plants. The goal of this chapter is to deepen the knowledge of application of adequate, precise process eco-technologies in the wastewater treatment from scientific and applicative aspect. This represents an ongoing problem in the modern process eco-engineering. Through the steps of design, optimization and complex regulation of simultaneous ecological bio-processes, a solid base for implementation of modern wastewater treatment plants in the process of wastewater treatment will be established. Besides scientific value, this chapter covers the practical significance of the implementation of adequate wastewater treatment systems in the area of process eco-engineering, which represents one of the main segments in the sustainable development for cleaner and healthier environment (Kuvendziev, 2009).